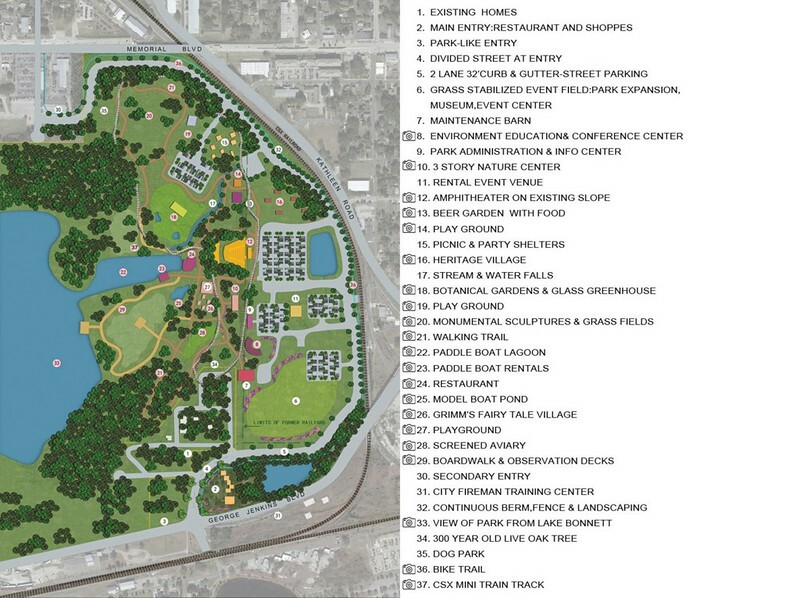 By 2020, an abandoned railyard on the edge of downtown Lakeland will be transformed into a 160-acre urban green oasis by a group of local philanthropists. Local philanthropists are developing a new 160+ acre, privately-funded urban park between West Memorial Boulevard and George Jenkins Boulevard on the east side of Lake Bonnet for the residents and visitors of Lakeland. The planned project – called Bonnet Springs Park – will reside on the former CSX railyards and adjoining historic parcels that once occupied this tract. This park venture is a 501(c)(3) corporation – d/b/a Windsong Park, Inc. – is comprised of local visionaries including the Barnett Family – Barney, Carol & sons Wesley and Nicholas – long-time Lakeland commercial real estate broker David Bunch, and recently retired Lakeland Parks and Recreation Director Bill Tinsley. The team has been busy assembling the total approximate 200-acre parcels, which includes the former CSX railyards, the former Florida Tile site, and a dozen other adjacent properties. The current plan is to restore the two industrial land areas and enable them to return to a productive use. 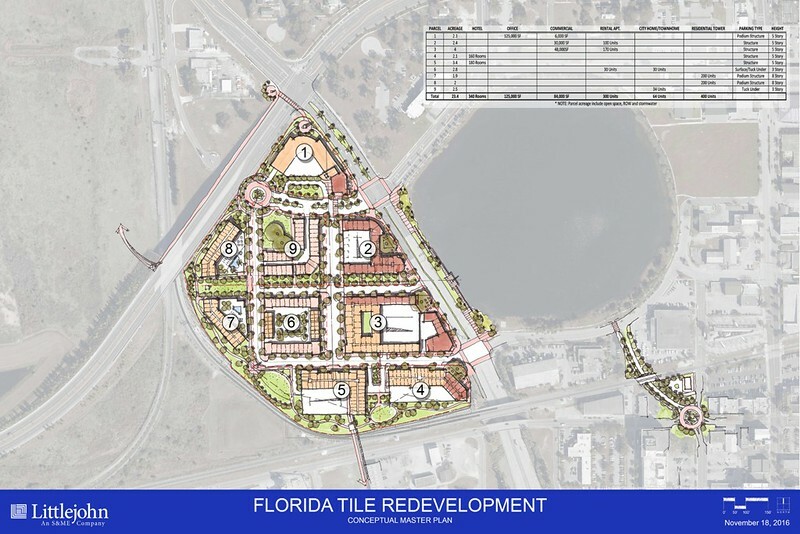 The Florida Tile site – which is not planned as part of the park – will be cleaned up, revitalized and reintroduced to the market place as a high density, quality mixed-use development comparable with the proposed park to support Lakeland’s downtown needs. Proceeds from the sale of this development will be put back into the Bonnet Springs Park project. Proposed plans for Bonnet Springs Park include nature trails, an amphitheater, multiple playground areas, historically-themed areas, miniature trains, botanical gardens, bike paths, public art displays and much more. The park is slated to open by 2020. The leaders behind the project aim to make the park financially self-sufficient for management and maintenance.